This week I have been at the National Astronomy Meeting in Portsmouth. There have been many great talks and I particularly enjoyed organising the "Engaging the public and schools with astronomy" session with the famous Jen Gupta. Wednesday was Hack Day (sponsored by GitHub and .Astronomy). I always enjoy hack days because I rarely have the opportunity of engaging in a little blue skies coding. 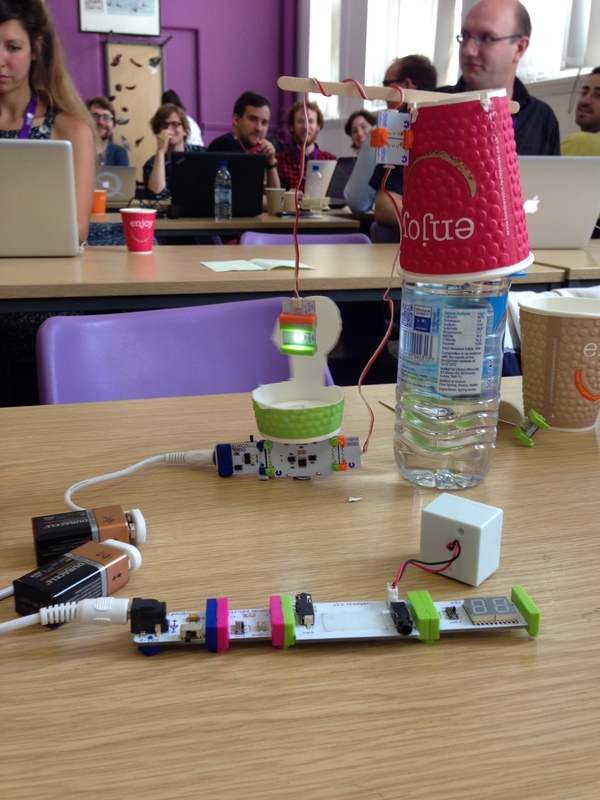 I brought along a cute circuit kit called LittleBits with the aim of doing not very much coding but hacking in a more hands on way. LittleBits are magnetic, modular circuit board kits, primarily for kids but really for anyone who is curious about doing fun things with electronics. 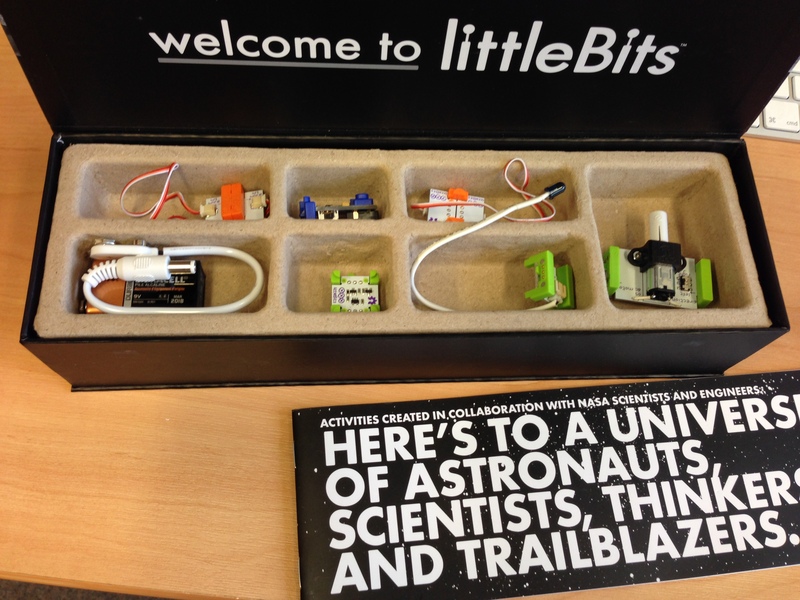 The nice people at LittleBits were kind enough to send me their "Space kit" to play with. I was very pleased to have the awesome (not like a hot dog) Rob Simpson express an interest in playing with this kit. We spend a good 10 minutes clipping these modules together and making farty noises with the speaker and light sensor. Then we got serious with the hacking. Exoplanets are planets orbiting stars that are not the Sun. Mostly exoplanets are too faint compared to the star their orbit for us to see them directly. One of the ways you can find these are by looking for stars that periodically dim. This suggests that a planet is blocking a bit of the light from its star from us. We made a planet and its orbit out of a cup and sat this on a the motor, so it span around nicely. To find these exoplanets astronomers point telescopes at them and take regular measurements of their star's brightness. This is what we did with our Little-Bits. We made a circuit out of a power pack, light sensor, speaker and LCD (also known as the Laser Display Board, for fans for I'm Sorry I haven't a Clue). Pointing our 'telescope' (light sensor) towards the 'star' (LED), we can see how the brightness changes when the planet (cut from the paper cup) passes in front of it by the value on the Laser Display Board (LCD) decreasing. We made planets of different sizes too. They should block out more light from the 'star' and we wanted to see if we could measure that. You can see in this great little slow-mo video Rob took, that the numbers on the Laser Display Board do decrease when the 'planet' passes between the 'star' and 'telescope' parts of the model. 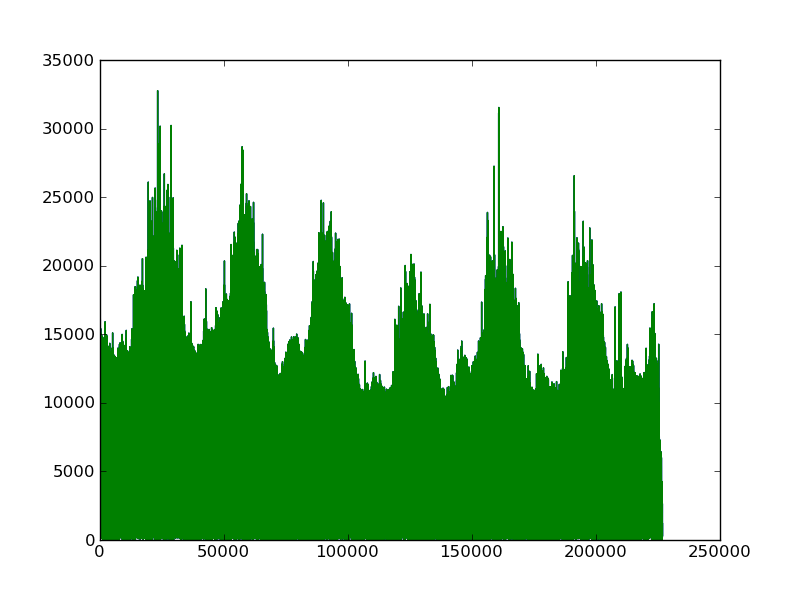 The graph (of volume against time) shows peaks where the planet is behind the star and troughs where the planet is blocking the light. There was a lot of stray light in the room, so its not a perfect graph. In the picture above you can see we made 4 exoplanet solar systems with different size planets (one included 2 planets! ).